A fun quiz to see if you remember “where Ruby ends and Rails starts.” Curiously, neither Matz nor DHH got 10 out of 10. I got 9. Michael Hartl’s immensely popular step-by-step Ruby tutorial has been updated for Rails 5 and remains free to read online. Michael has written up what the update has involved. As part of SitePoint’s ‘IoT Week’, Dhaivat Pandya takes us on a tour of Artoo, a Ruby-based platform aimed at making working with embedded systems easier. Many of you are excited about Elixir. And so are we. 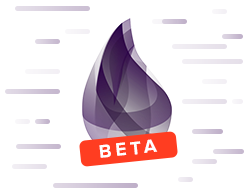 With Elixir support we'll be the first service to provide deep insights into your Elixir apps. Join now. The folks at Phusion (Passenger) have been looking at how ActionCable works ‘under stress’ and have come up with a fix for a corruption issue that’s worth being aware of. The headline feature is support for Rails 5, but there’s a lot more to it than that, including Minitest integration for rspec-mocks and rspec-expectations. Features include multi-lingual knowledgebase, community discussions and private tickets integrated with email. Amazon’s ‘Simple Email Service’ provides a low cost way to send email from your app through a third party provider. This is likely to be the final release of 4.1. It’s in Austin, Texas on October 28. This eBook introduces you to Codeship Jet, our Continuous Integration platform for Docker. We will look at building and deploying applications to show the full flexibility of the system. 5.0’s out which means getting any old 3.x apps up to 4.0 is key. You can use ActionController::Renderer to render arbitrary templates outside of controller actions.